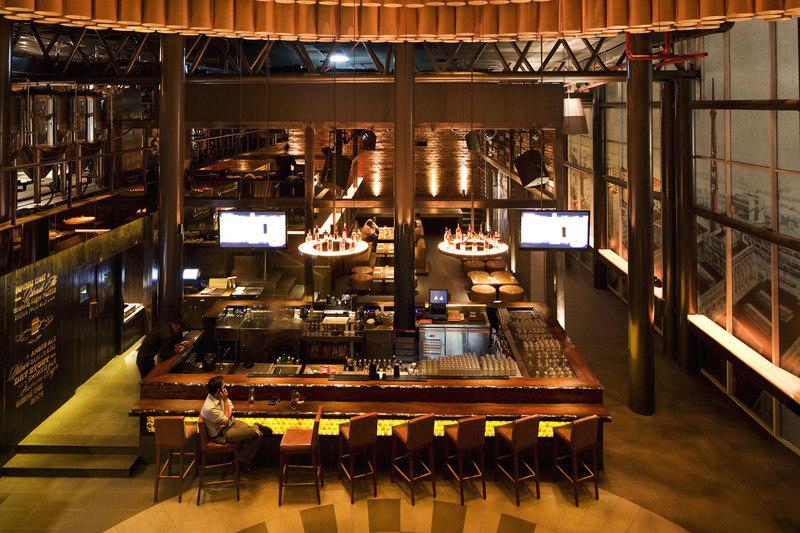 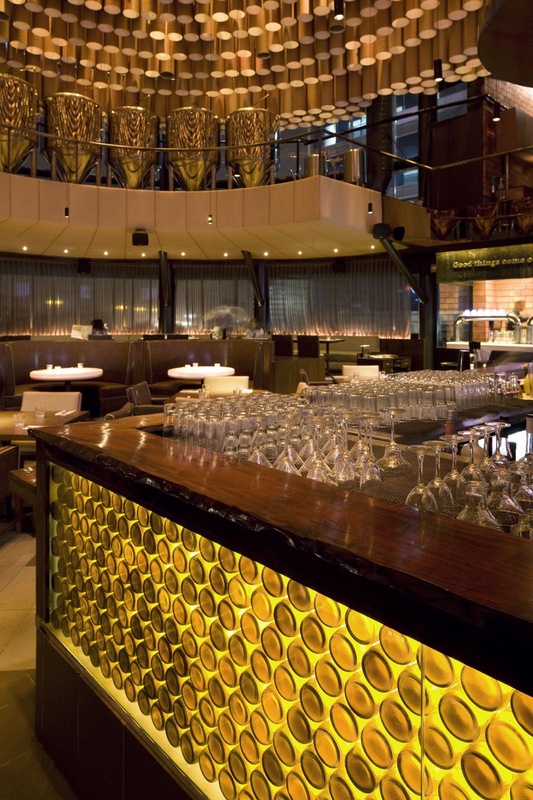 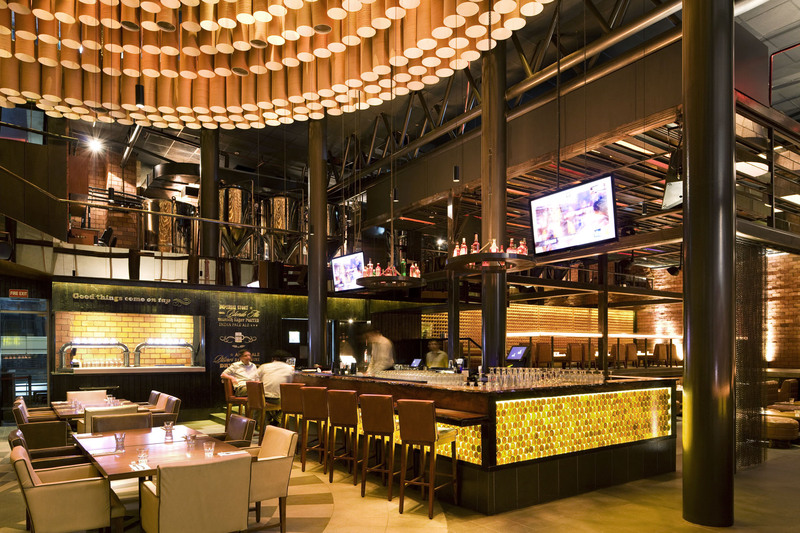 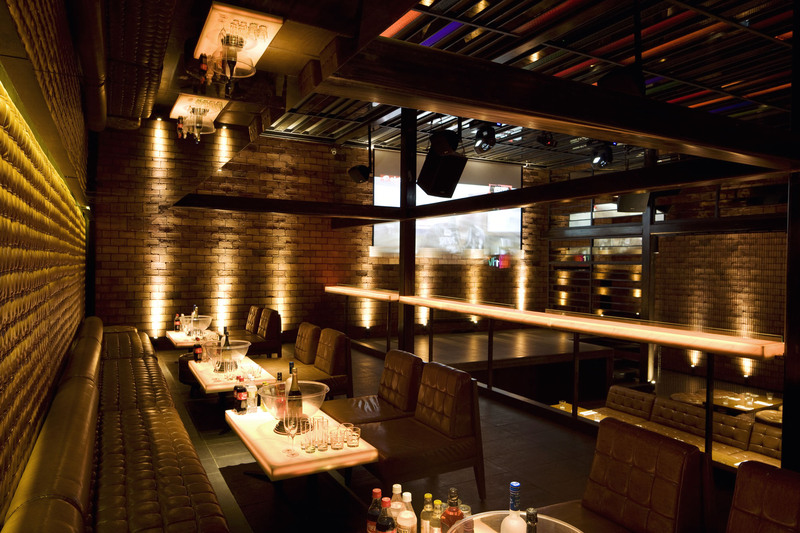 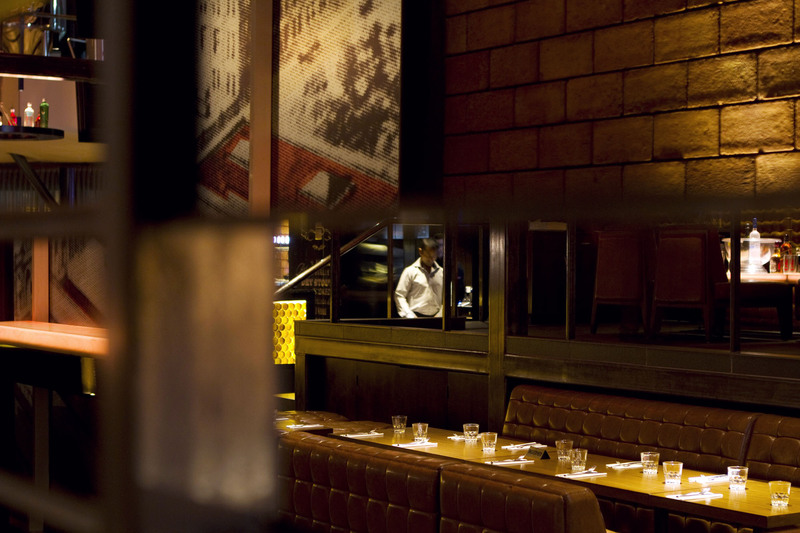 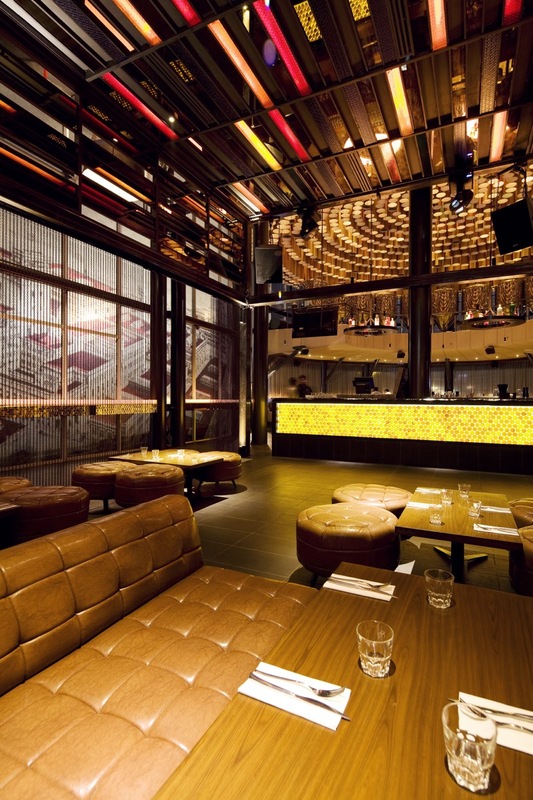 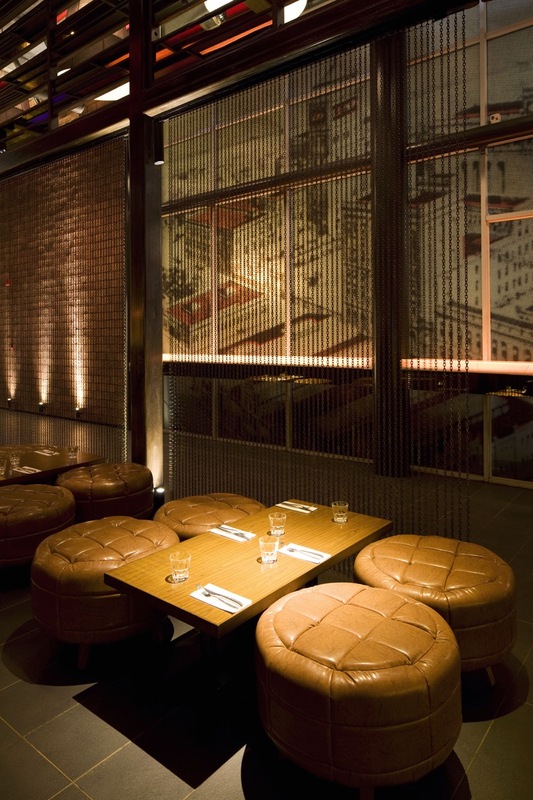 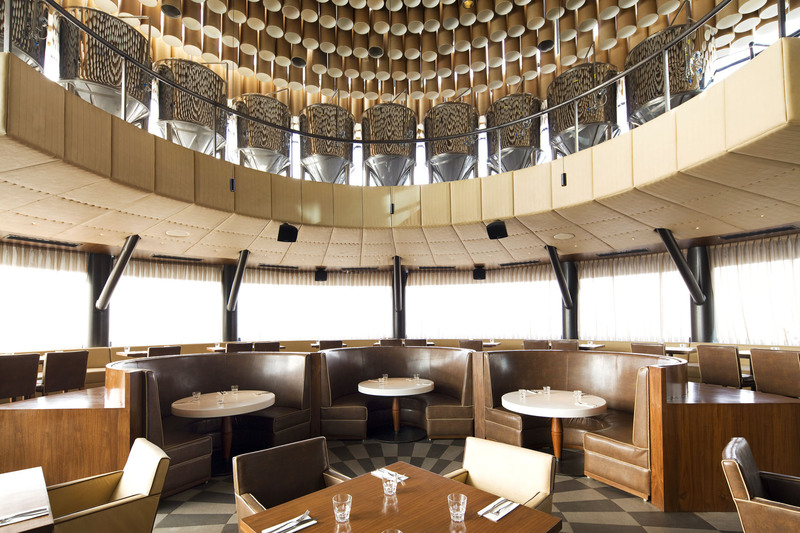 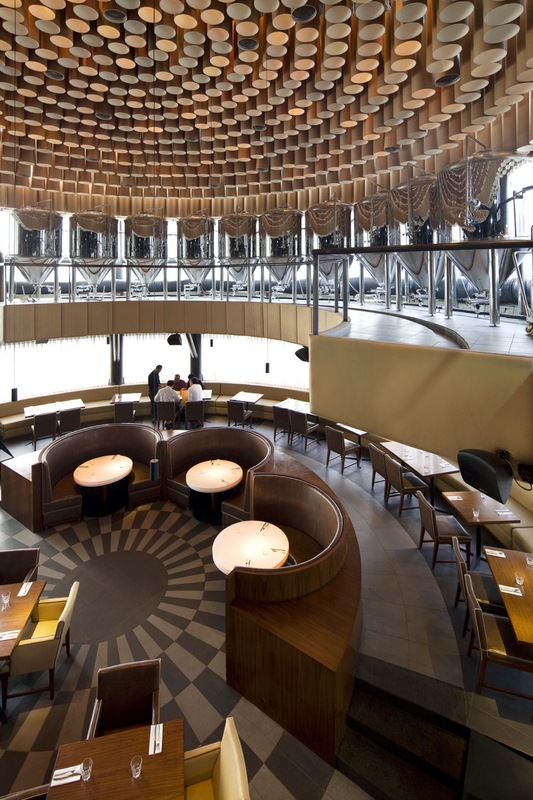 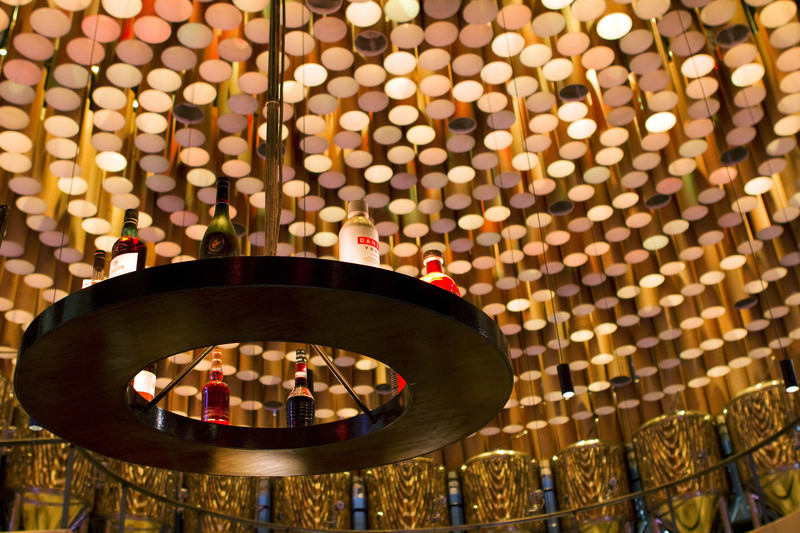 Lemp Brewpub and Kitchen at Gurgaon, by Studio Lotus - ArchitectureLive! 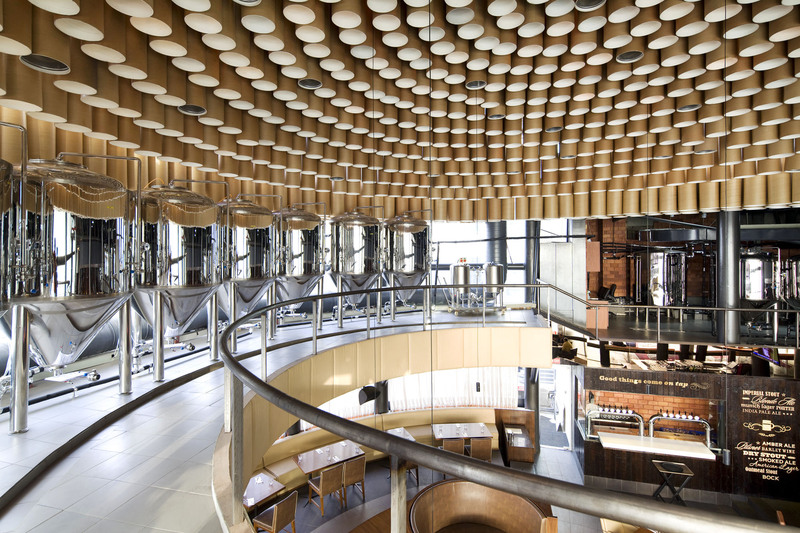 To create a space which houses a brew bar, a restaurant which functions during the day as well as night, a lounge, a dance floor and a performance stage under one roof. 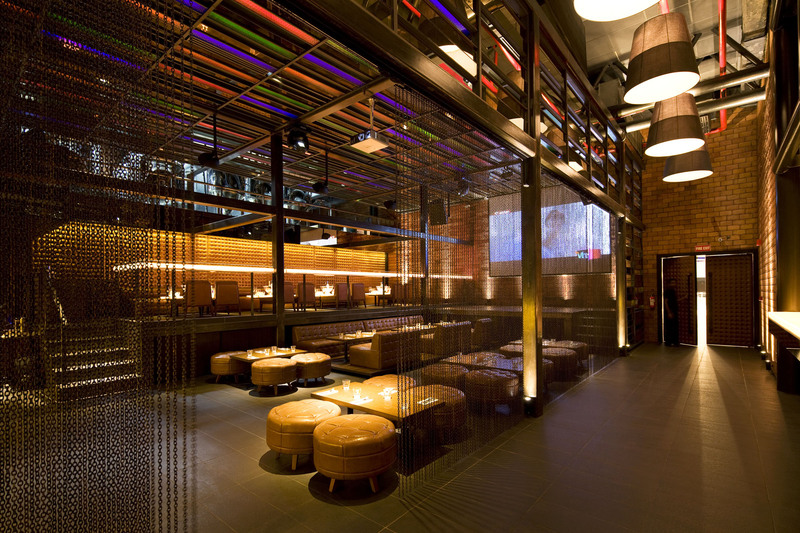 Space to be cool and contemporary and provide varied experiences for people of various age groups. 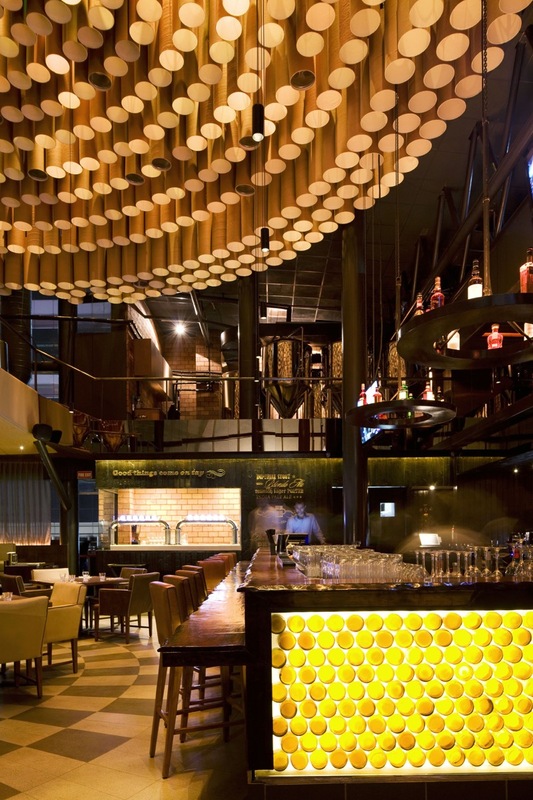 Around 5300 sq ft of space in a mall in Gurgaon. 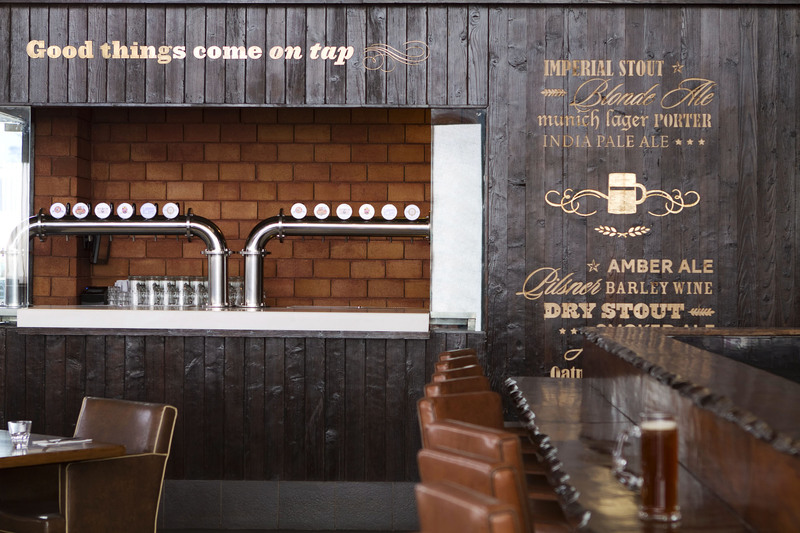 Additional 1500 sq ft mezzanine created for the brewery Design results: We created multiple experiences in one venue. 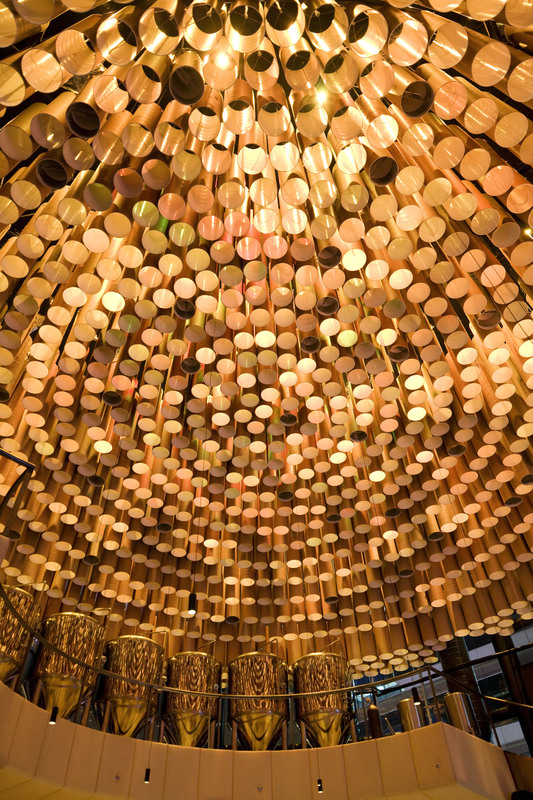 A series of installation like spaces made using low cost, recycled/ recyclable materials like paper tubes, old bottles, stained glass and chain mail. 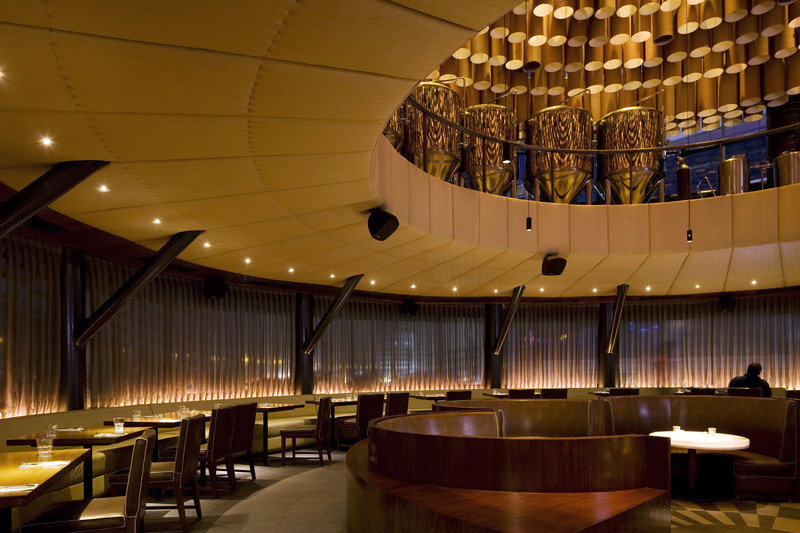 The shell clad with stained fire brick, use of quilted leather and sheer fabric curtains to bring in the element of luxury.